Lykke announced that Ripple (XRP) is now available on the Lykke semi-centralized exchange. It will be offered in the standard XRP/USD pairing. Swiss-based Lykke Exchange has listed $XRP today! XRP is one of the most traded & requested by our community coins. Regarding your suggestion of xRapid, we have internal talks but there’s no official information at the moment about the possibility to implement it. Even though the XRP founding company, Ripple had couple of blockbuster partnerships and conferences in the recent months, the XRP price didn’t budge and is irritatingly stuck below the $.50 level. That doesn’t stop the Ripple Labs to work on their long-term plan of challenging SWIFT’s dominance in the world of cross-border financial transactions. Right now our biggest competitor to next current plan is an International banking contortion called Swift, and Swift has an arrow rate that senses up to 600 basis points. Imagine you send money from one country to another. You don’t know if it got there, you don’t know where along the way the information got lost, and they never send you any information back in the moment that you send it. You’ve got to kind of wait days and days to receive back or even acknowledgement of a problem. That was the State of the Art until Ripple entered the market place. So our customers are getting this kind of sure thing of what’s happening with their money transfers, and getting instantaneously these Ripple software products in ways they haven’t seen before. Things like that. The Lykke exchange is a semi-decentralized exchange for cryptocurrencies and fiat. The company’s subsidiaries, which are licensed as financial companies, provide broker and trading services for clients. All possible asset pair types are tradable: fiat fx to fiat fx, fiat fx to crypto, and crypto to crypto. Lykke, as a company, provides liquidity, issuance services, and consulting. The commissions and fees for Lykke are essentially zero. XRP price dropped significantly and broke the $0.4575 support level. XRP/USD found support around $0.4350 and bounced back sharply above $0.4470. With that in mind, buyers are still facing an uphill battle near the $0.4550 and $0.4575 resistance levels. To move back into a positive zone, the price must surpass the $0.4575 and $0.4600 levels. 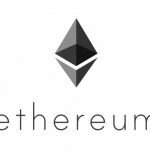 Vote of confidence for ETH from J.P. Morgan: "We are big believers in Ethereum"